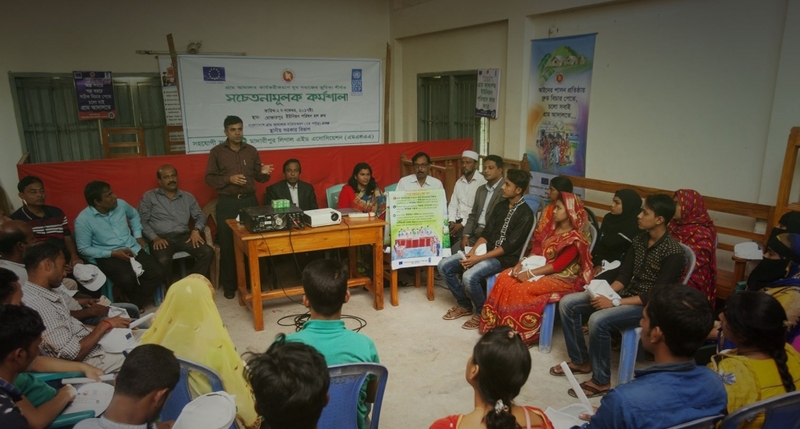 With the leadership of Deputy Directors Local Government (DDLGs) and Upazila Nirbahi Officers (UNOs) at local level for improving capacity of the 1,078 union parishads (UPs) under 128 upazilas the project provides all required forms-registers, furniture, ejlash (court bench), Village Courts Assistants (VCAs) and others. Since the inception of AVCB II Project, Districts Training Pools (DTPs) consisting of government and non-government participants have been providing training to all the key village courts actors like, UP chairman, panel chairman, UP members, UP secretary, village police and others following a cutting-edge training manual. 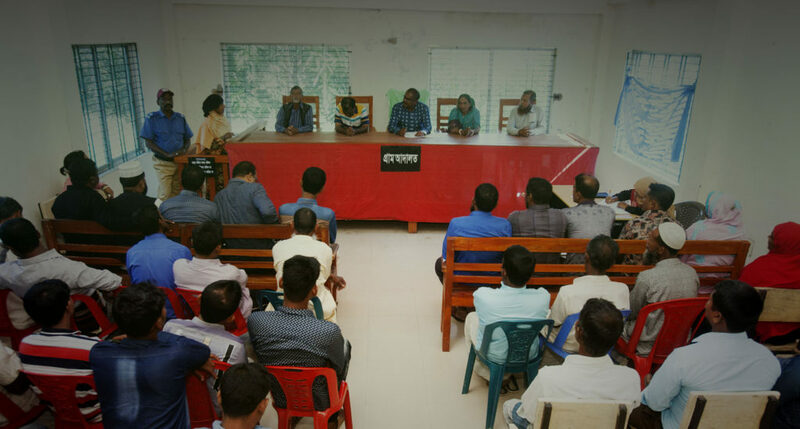 The project also provides support to several national training institutions for integrating village courts issues in their regular training curricula. The Ministry of Home Affairs for a directive requiring referrals by the police to village courts, and encouraging referrals by the community policing fora. The project will draft a proposal on amendments of the Village Court Act based on consultation with relevant stakeholders and will play a crucial role towards policy coordination among relevant justice actors. The project provides capacity building supports to Local Government Division (LGD) particularly the Monitoring, Inspection and Evaluation (MIE) Wing and local administration to monitor, report and quality assurance aspect of village courts. 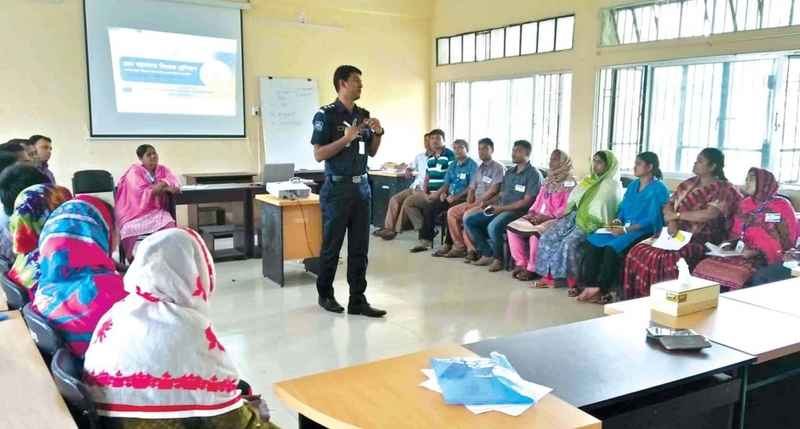 Apart from this, the project works with Village Courts Management Committees (VCMCs) at upazila and district level for making them more functional and other relevant committees to have village courts as a standing agenda e.g. Law and Order Committees, Legal Aid Committees, etc. For well-organized performance monitoring the Project is continuing advocacy for a functional monitoring system following the updated Village Courts Rules. Continue strategic interventions with elected women representatives for facilitating greater access to services among rural women as well as encouraging their representation as panel members in the village court decision-making process. The project will institutionalize knowledge sharing both within and outside the working areas. Best practices and lessons learned are being captured regularly for advocacy with the government as well as Southern countries. For these reasons, the project will undertake various studies and surveys e.g. Impact study (baseline, mid-term and final), study on village courts and women empowerment; study on institutional monitoring system, lessons learned study, etc. Also, the project will organize national conference on village courts. Major interventions of this project will create an appropriate environment for more than two crore (20 millions) rural women and men within the project areas by facilitating easy access to local dispute resolution services through functional village courts.